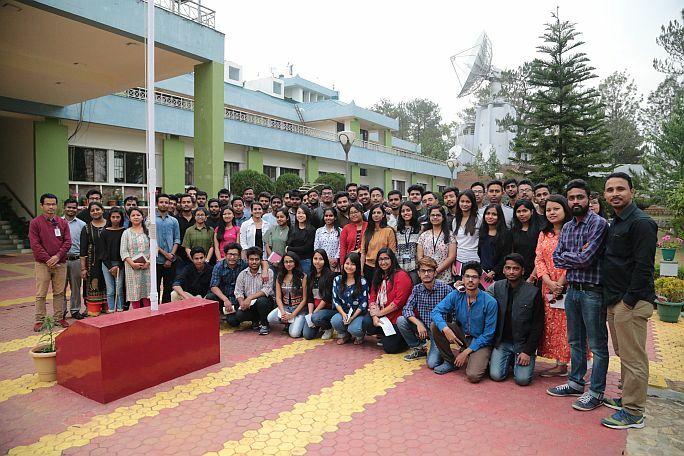 63 numbers of 8th Semester students accompanied by 8 faculty members from the Department of Electronics & Telecommunication Engineering and Computer Science Engineering of Assam Engineering College, Jalukbari, Guwahati visited NESAC on 18th March'2019 as a part of their TEQIP-III Educational Tour. 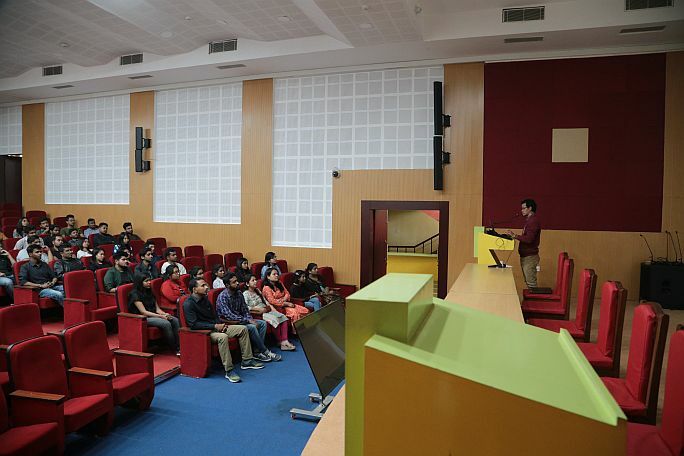 A detail presentation was delivered to the students to familiarize them with the general NESAC activities and specifically on various IT based projects and activities being undertaken by the Centre by PS Singh who supervised their visit. 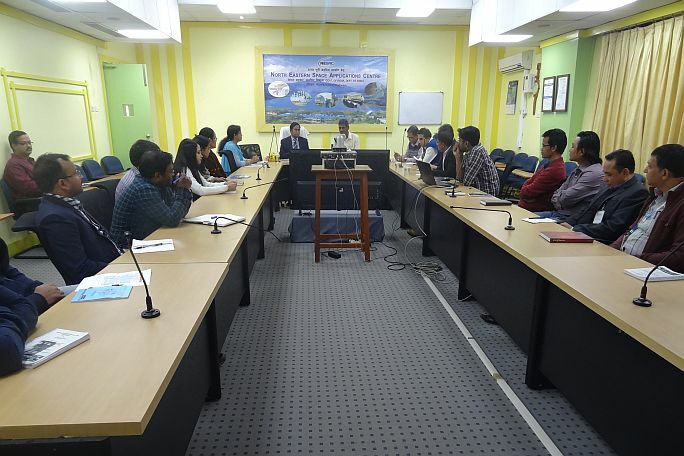 Further, visits to NESAC facilities and labs including NAVIC data reception and monitoring facility was also arranged to get better understanding of various scientific activities of the Centre. 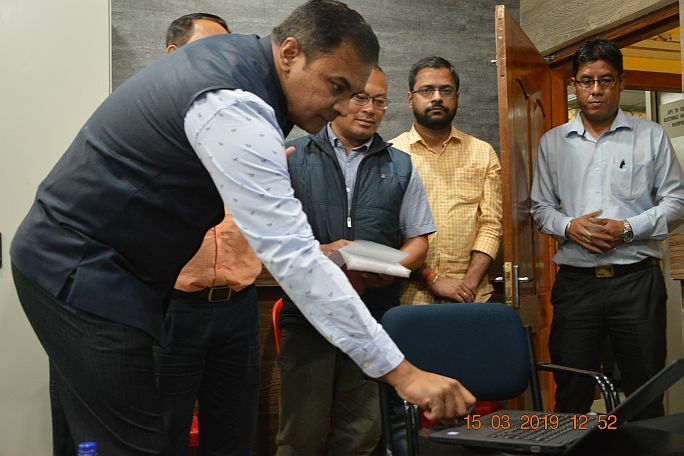 Thereafter, they were taken to Outreach facility where live demonstrations on some of the eGovernance applications was given by Shri Nilay Nishant.